Naked Money - Description | W. W. Norton & Company Ltd. The best-selling author of Naked Statistics takes us on a romp through the colourful world of monetary policy and history. We use money every day. Yet the practice of exchanging paper or bytes for goods and services seems absurd if you think about it. 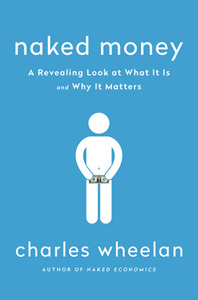 Naked Money explores why money exists and why it so often gets entire nations in trouble. 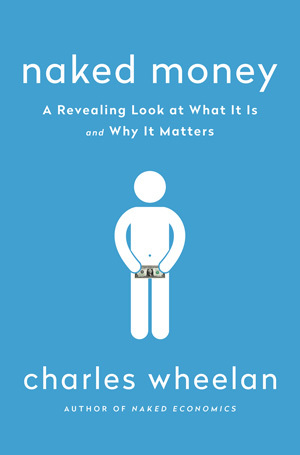 Charles Wheelan explains with his trademark wit and refreshing clarity how our banks and monetary systems should work in ideal situations, and he reveals the havoc and suffering caused in real situations by inflation, deflation, illiquidity and other monetary effects. With illuminating stories from Argentina, Zimbabwe, North Korea, America, China and elsewhere around the world, Naked Money demystifies the curious world behind the paper in our wallets and the digits in our bank accounts.